Burger Game is an action packed thriller waiting for you to uncover the dark secrets within. 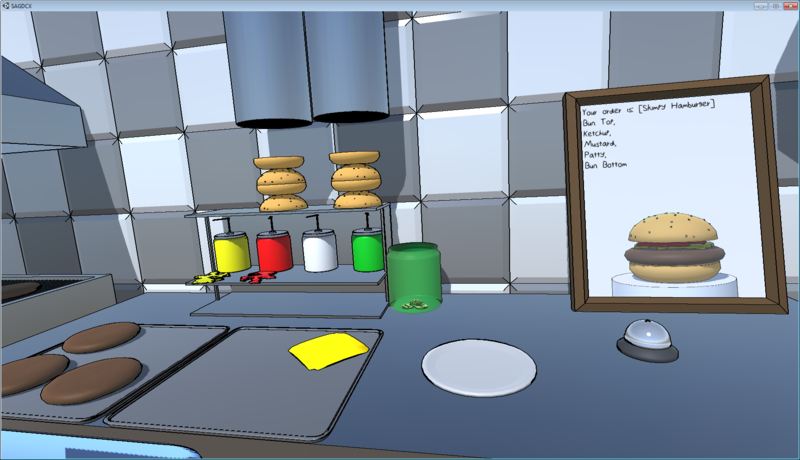 Fill orders as best you can under the harsh conditions in Burger Game. 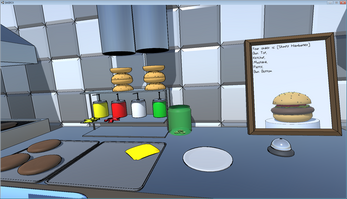 Manage inventory and finances to keep your Diner afloat in the face of the unending struggle that is life in Burger Game. 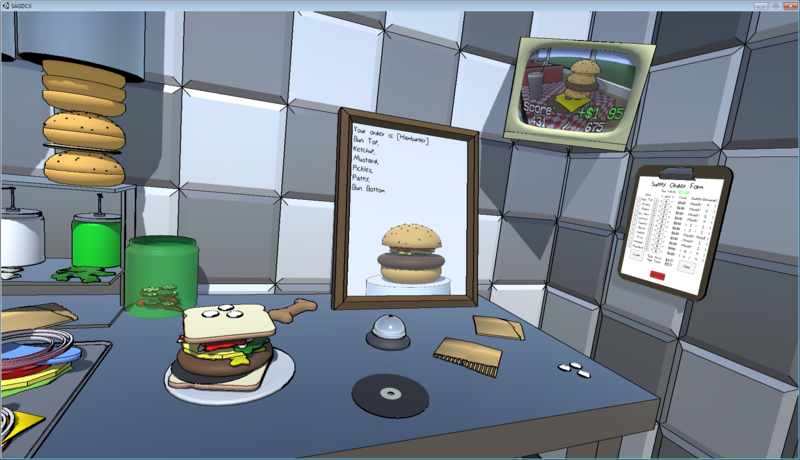 The object of the game is to complete a number of hamburgers while avoiding enemy foods. The object of the game is to complete a number of hamburgers while avoiding enemy foods. Can you survive one week in Burger Game to get the powerup and win the game? 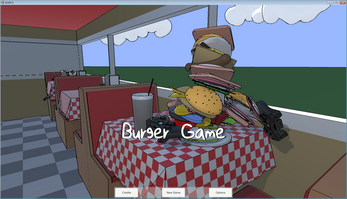 Be sure to check out Burger Game on the official site to play it in your browser. Burger Game was developed as part of the Something Awful Game Dev Challenge X between July 1st through August 1st of 2015 C.E.